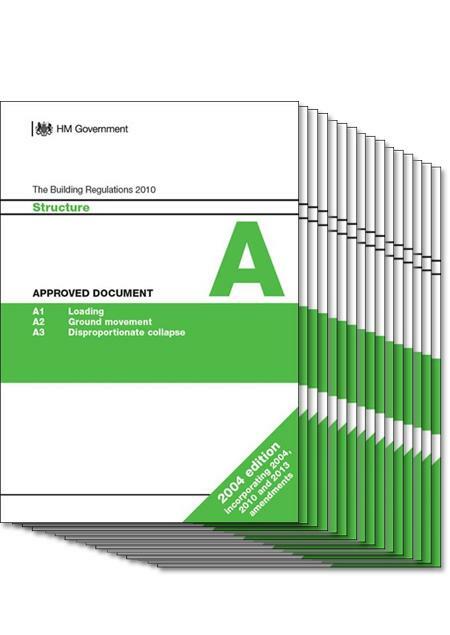 'The Building Regulations: Complete Set of Approved Documents' collates all of the latest Approved Documents from the Department for Communities and Local Government. TSO Approved Documents are produced under licence from the Crown using content issued by CLG. These publications are also available to buy separately. View the full listing of Approved Documents. Please note: when you order this pack, the Regulations will be dispatched from separate locations - your order will therefore arrive in two separate parcels/deliveries.